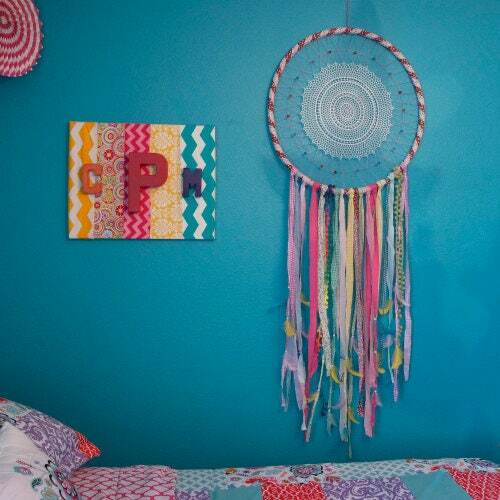 This Boho Chic Dream Catcher is made with 2-3" rooster schlappen feathers and colorful ribbon. 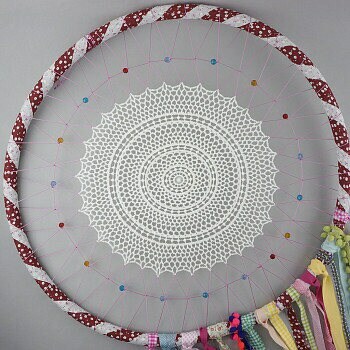 The large 24" diameter center hoop is constructed with a white crochet doily and strung with multi-colored beads. 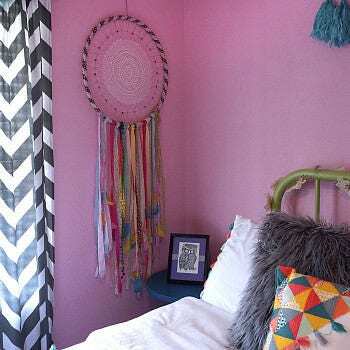 With assorted satin, organza, and lace ribbons draping from the hoop, this dream catcher is approximately 60 inches from top to bottom. 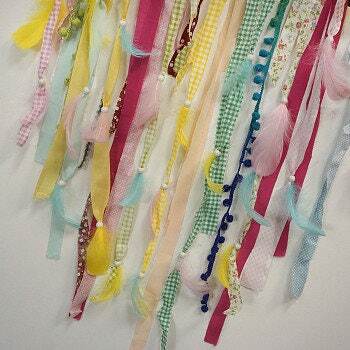 This colorful dream catcher is perfect for decorating a baby nursery, baby shower, wedding or home decor. 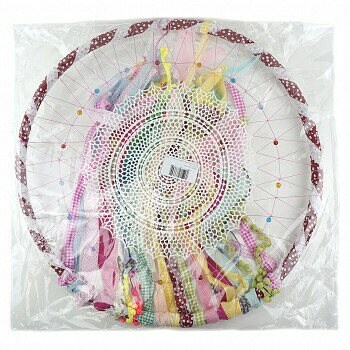 SIZE: 24" DIA X 60" Our products are made with natural materials; therefore each item will have unique differences and variances.